The story of Elmira is integral to an understanding of the Network to Freedom. Without knowing the part that the abolitionists of Elmira played in it, an understanding of the importance of the Underground Railroad would be incomplete. Some of these progressive minded individuals were white business and professional persons; others were freed slaves and freeborn blacks; all shared a love of freedom and courageous hearts. You can explore an interactive map marking their gravesites. - escaped slavery by having herself shipped in a sailor’s chest on a steamship from Baltimore to Philadelphia; it was an 18 hour trip. Only living in freedom three years, she died November 30, 1860 at the age of 18 years old. - a generous man, he provided employment for the freedom-seekers. It is said that those who sought refuge with him found themselves safe. He died November 17, 1873. - was a Republican from the party's earliest days. He became the poormaster and street commissioner of Elmira. His home on East Avenue was a stop on the UGRR. He died March 9, 1894. - minister of the Independent Congregational Church (now Park Church), which was founded by the abolitionists, Mr. Beecher hired George Jones, John W. Jones’s brother to be the sexton at the church. He also started many programs at the church to help those in need. He died March 14, 1900. - one of the wealthiest men in Elmira, he provided financial assistance to the anti-slavery movement and was also the principal sponsor of Elmira College. He died September 1, 1868. - escaped from slavery with John W. Jones and was active in the UGRR. He was active with Trinity Church and was one of the organizers of the Elmira Temperance Benevolent Society. He died February 25, 1897. - her slave experiences were written about by Mark Twain in the article “A True Story, Repeated Word for Word As I Heard It”, in 1874. She worked at the Quarry Farm for Susan Crane, Mark Twain’s sister-in-law. She died January 1, 1888. - switched political parties and helped organize the Republican Party in New York State. His law firm, Diven, Hathaway and Woods, represented Jervis Langdon in court to free Julia Barbier. Mr. Diven was a general in the Union Army during the Civil War. He died June 11, 1896. - born in Frederick, MD and manumitted by his master at a young age. He went to Aurora, NY and became educated. He came to Elmira and opened a school for colored children on Dickinson Street. 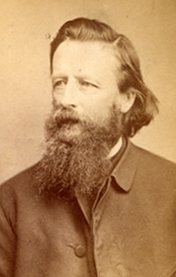 In 1856 he took a group of refugees to Canada and remained there until the beginning of the Civil War when he returned to Connecticut and joined the Army. He died August 21, 1913. - succeeded in ending a riot at the Brainard Hotel when a slave was being returned to slavery. The slave was an elderly man and he wanted to go back to Maryland because he had not been treated badly by his master. Mr. Hall was also a financial backer of the anti-slavery movement. He died August 26, 1902. - escaped slavery and became active in the UGRR. He became the sexton at the First Methodist Church in Elmira. He died September 27, 1899. - brother of Lucius Robinson. He was an original member of the Independent Congregational Church and helped finance the anti-slavery movement. He died December 24, 1885. - wrote editorials and articles for the New York newspapers and gave speeches against slavery. He left the Democratic Party for the Republican Party because he could not support slavery. He died March 23, 1891. - also escaped slavery with John W. Jones and was active in the UGRR. He worked as a gardener for many prominent families in Elmira. 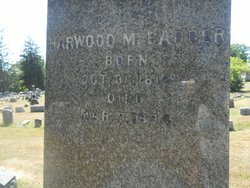 He was 100 years old when he died on April 12, 1898. - lived in South Creek, Pennsylvania; they fed and sheltered John W. Jones and his companions when they escaped slavery. Dr. Smith died December 22, 1867; Sarah died October 16, 1884. - helped John W. Jones receive an education. He also freed Julia Barbier from slavery when Jervis Langdon brought her into court. This was in spite of the Fugitive Slave Law, and all involved could have gone to jail. He died September 23, 1894. - sister of Ariel Thurston, provided shelter and employment for the freedom-seekers. Her private school for young women served as a model for Elmira College. She died January 6, 1884. - rescued from slavery by his mother, Mary Ann Cord, when he was a soldier in the Union Army. He became a barber in Elmira, and Mark Twain was one of his customers. He died February 22, 1927. - was a slave in Maryland when he heard about Jervis Langdon in Elmira. He "borrowed" his owner’s horse and came to Elmira to be free. He found employment with John Arnot Sr., and later became the first black policeman in Elmira. He died November 27, 1891. - the lawyer who represented Jervis Langdon when he took Julia Barbier to court to secure her freedom. He was a member of the Diven, Hathaway, and Woods law firm, one of the most prominent law firms in the country. He died January 25, 1903.